Great Debate: Is GPS Tracking Really Beneficial? 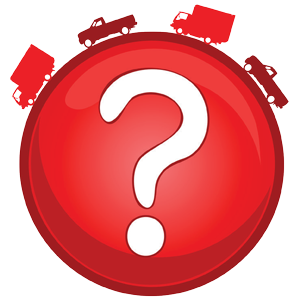 Is GPS Tracking Really Beneficial for Fleets? Since GPS tracking was first introduced to the fleet industry, there has been a debate whether this technology is really beneficial for fleets or not. 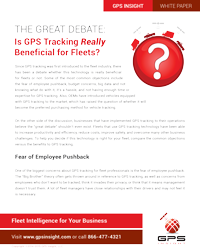 To help you decide if this technology is right for your fleet, compare the common objections versus the benefits to GPS tracking in this FREE, six-page industry white paper, published by GPS Insight. Since GPS tracking was first introduced to the HVACR industry, there has been a debate whether this technology is really beneficial for fleets or not — and we want to know what you think. We're asking for your help to better understand key perspectives about GPS fleet management systems. If you currently use a GPS fleet management system, what fundamentals are important to your business? If you don't currently use a system, what's holding you back? To participate in the survey, please click here. With your valuable time in mind, we've made sure it won't take you more than 10 minutes to complete.